Experience British racing pedigree matched by few others with a Lotus driving experience. Perfect for both adults and juniors, Lotus' range of sports cars are well known for their performance on the track, with tight cornering and phenomenal straight-line speed. The perfect gift for the petrol head in your life. Available at a host of UK circuits and venues. Check out the full range of Lotus driving experiences below. 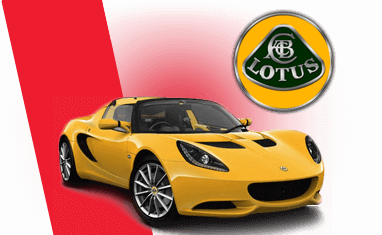 What is a Lotus Driving Experience? Experience why people rave about these super lightweight British Sports Cars. Renownd for their brake-neck cornering ability, driving a Lotus you will feel what it's like being close to the ground with the wind in your hair and plenty of power. This iconic British sportscar has racing heritage going back as far as the golden greats. But make no mistake the Lotus has been engineered using cutting edge racing design. Enjoy near perfect weight distribution and suspension handling characteristics that reward fast driving. The Lotus lives for the race track! Book a Lotus driving experience Gift Voucher.